Domestic cleaning services in London are one of the most popular home services, because in today’s busy life, even doing simple household chores like cleaning the kitchen can seem daunting and challenging. It is not surprising to feel like you need extra help. Worry not, because help is now easily available with Best Cleaning Services London. 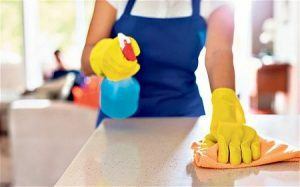 Our company offers well-rounded domestic cleaning service available for hire at any time. Our company prides on providing A-class cleaning services in the entire London metropolitan area. We have been in this business for quite some time now. Through the years, we became experts at delivering professional and precise cleaning help to all clients in the area. When you hire our cleaners, you aren’t only ensuring that your home will be professionaly sanitised, but also that you will have more free time. Do a quick calculation and determine how many hours a week your spend cleaning. Wouldn’t it be better to invest this time in recreational activity? For example, you go practice your favourite sport or you can catch up on your social life and meet friends; all of it while your home is getting a cleaning makeover. We are aware that one of the reasons why people don’t rely on cleaning companies is that they feel somewhat worried about letting someone in their home. With Best Cleaning Services London, this shouldn’t be an issue. All of our cleaners are properly vetted. We have made it a policy to hire only people with some experience in the field and no record of accidents. That is how we ensure each one of our staff members is there to do the job and not cause any trouble. You will know this to be true when you see just how friendly all of our cleaners are! We are largely preferred by our clients because of the experience we have with cleaning London homes. Our cleaners know the specifics of the job. We take extra care to train them well and really motivate them. We know that what we do is very important to our clients, as they are busy and rely on us to get this job done. So far we haven’t had a single complaint and we intend to keep it that way. You can be sure that we will complete the cleaning job to the highest standard and as quickly as possible. We pride ourselves on punctuality, and so will never be late or finish a cleaning service late. If you feel like you really want to have your home looking and feeling clean, don’t hesitate to book our services on 020 3322 1702. Our representatives are ready and waiting to hear from you and give you more information in regards to our domestic cleaning services in London.